Her favorite burger topping, and the secret talent so secret she doesn’t even know it herself. Dripping in Lorraine Schwartz diamonds—stacked on every finger, up the earlobe, and extra earrings pinned on lapels like broaches—and wearing a stippled Bottega Veneta pantsuit that plays tricks on the brain like a Magic Eye painting. It’s a look only Blake Lively can pull off. But are you surprised? In her latest role, as Emily in the twisty-turny comedic thriller A Simple Favor, she shares the same inimitable sartorial tact. Since we can’t give too much away about the film (you’ll just have to go see it for yourself), we peppered her with a whole slew of random questions, like her favorite decadent burger topping. What, you didn’t want to know that? 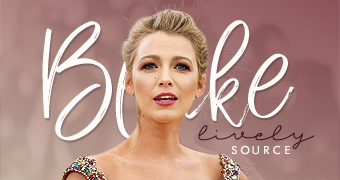 Press play to learn a whole lot more about Blake Lively.